This entry was posted in Country, Faith, Politics and tagged Affordable Care Act, birth control, Conservative, Hobby Lobby, Liberal, Obamacare, SCOTUS, Supreme Court. Bookmark the permalink. Not paying for cancer treatment is not denying cancer treatment. It’s that simple. Exactly! Buy (which means pay for) your own. Quite true. And not paying for women’s birth control, but paying for men’s birth control (and Viagra)… is discrimination. 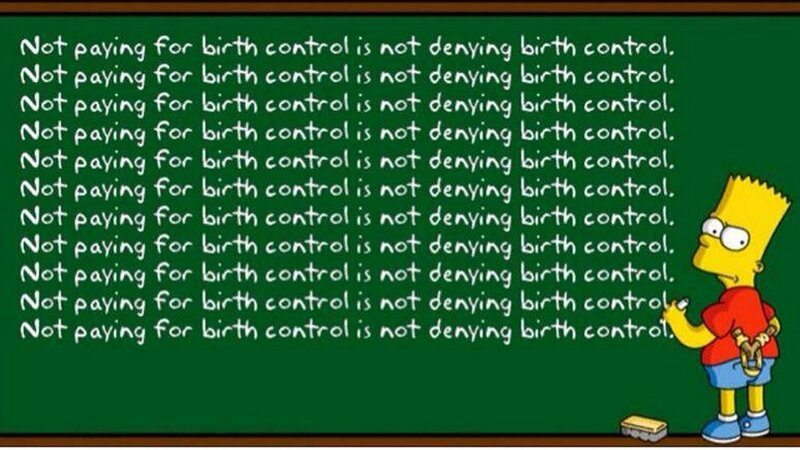 An abortion pill is NOT birth control, but murder after the fact. Additionally, feel free to unfollow me at any time if you disagree with my views and my opinion. At least for today, you still have that right. Thanks.